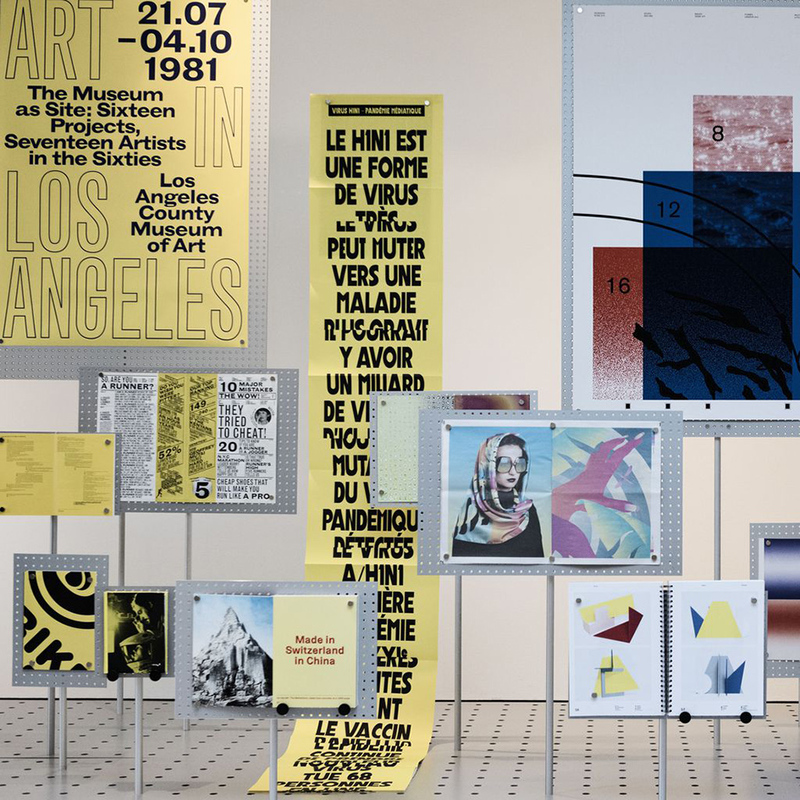 ver since 1995, when École cantonale d’art de Lausanne (ECAL) was founded, the institution has long been recognised as a world reference in terms of graphic design - and its students are partly the reason. Be it the design of books, catalogues, magazines or posters – ECAL students are able to embrace all facets of the discipline. 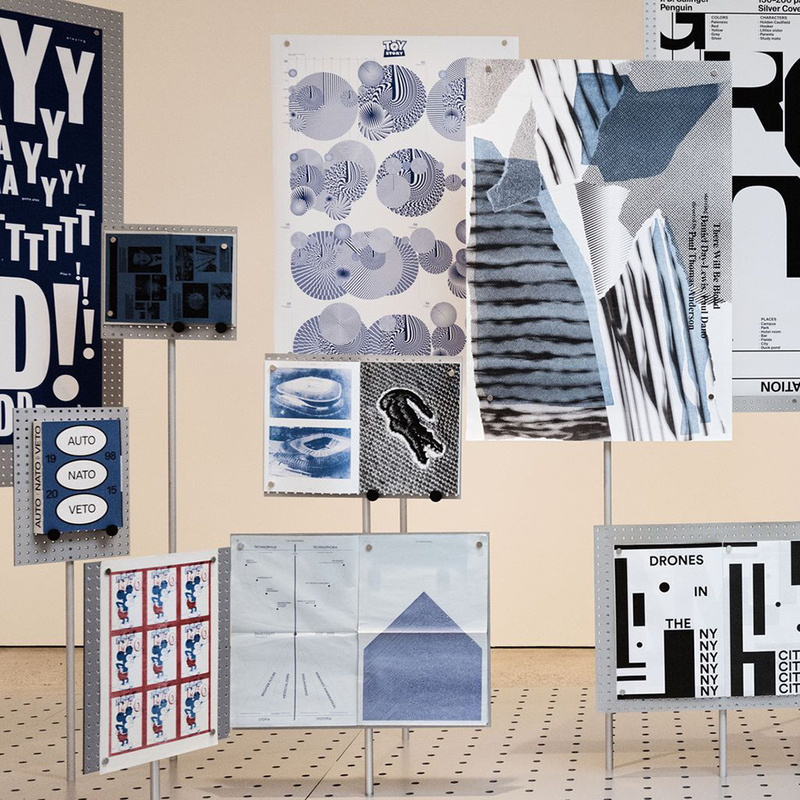 This success is largely based on a unique framework of workshops allowing students to learn directly from leading Swiss or international graphic designers such as Ludovic Balland, Bibliothèque, Mirko Borsche, Veronica Ditting and NORM, but there is more to it. ECAL’s director Alexis Georgacopoulos describes the school’s driving focus as “offering its students solutions to contemporary issues, while remaining forward-looking. What skills will they need for their professional future? How can we give them a competitive edge? What projects, innovations, and collaborations are likely to boost their career?” Born in Athens, this former graduate of ECAL himself should know better. After all, he has been the director of ECAL/University of Art and Design Lausanne since 2011. 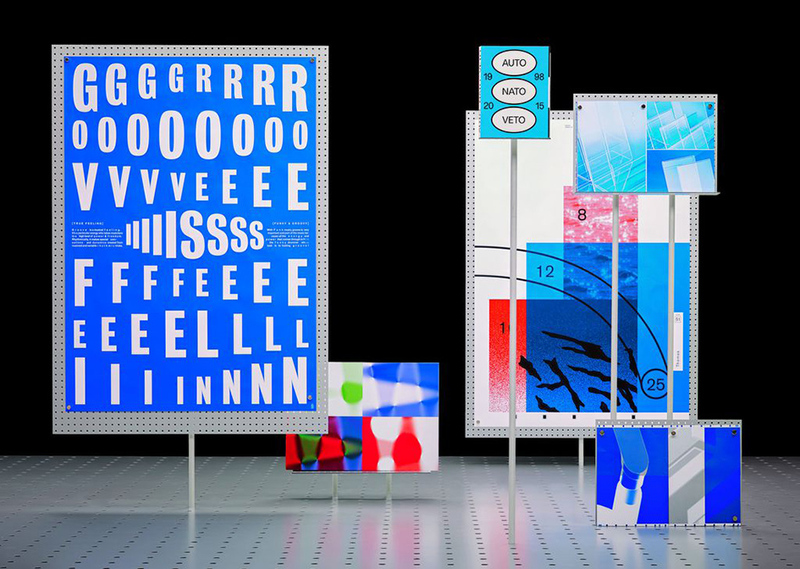 It is ECAL’s essence that is currently on display at Basel’s Vitra Design Museum. At the centre of the “ECAL Graphic Design. 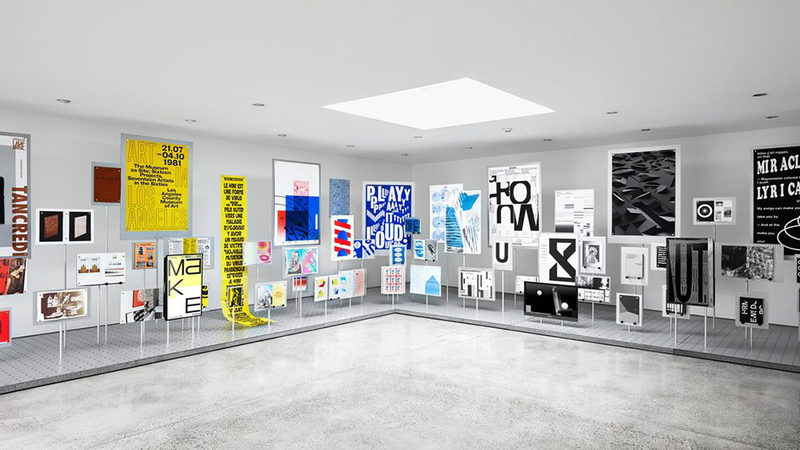 Type, Print, Digital, Stories” exhibition, typographical works present in all their Swiss-mannered glory the various ways in which type can be used as an independent tool in visual designs. Full-tone colour fields, geometrical forms, patterns and symbols as well as grids also figure in the canon of traditional basics in graphic design. These typical features are transformed by the students using multimedia and digital technology. Discourses in current design are shown in their different facets and interpreted – an approach that results in expressive visual storytelling. 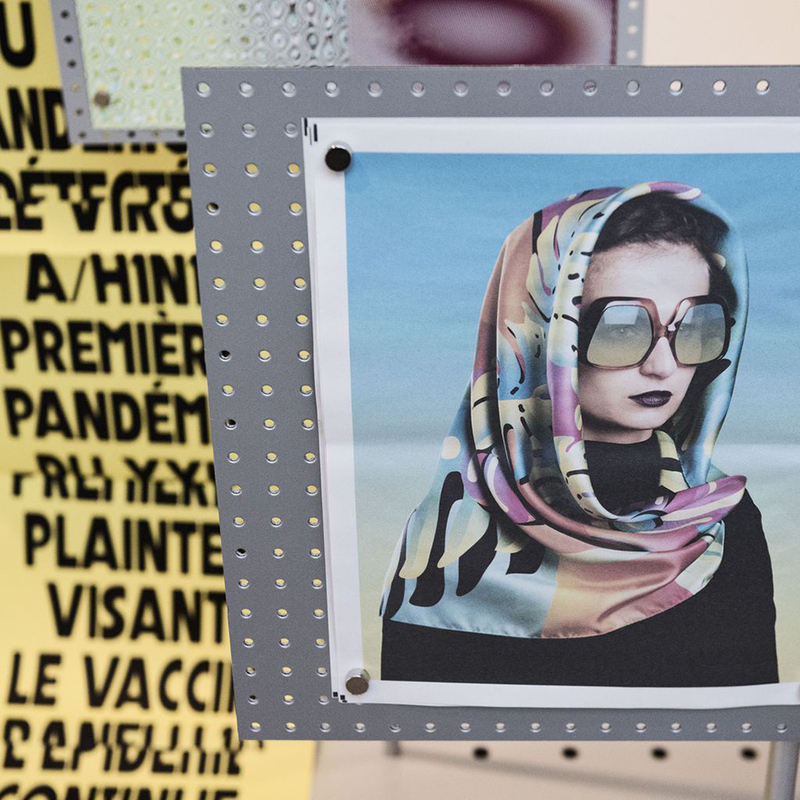 In addition to the students’ output, the exhibition shows the context in which ECAL designers work. 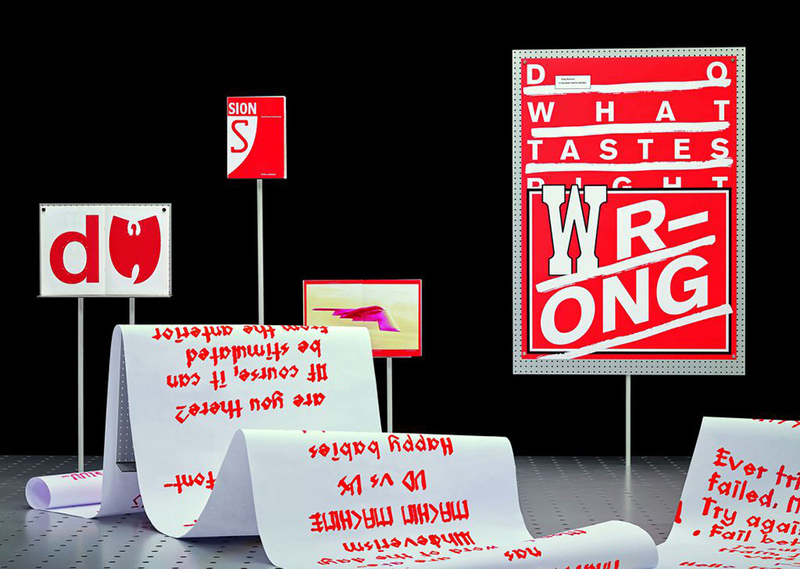 Swiss education in graphic design is internationally renowned and builds on a long tradition. In interviews, professors and lecturers speak about this heritage and demonstrate the stance the school and teachers take on history and on current tendencies. A selection of ECAL publications, design compendiums, and introductory volumes on the topic of Swiss graphic design facilitate an understanding of the environment the students work in and from which they develop their own individual style. 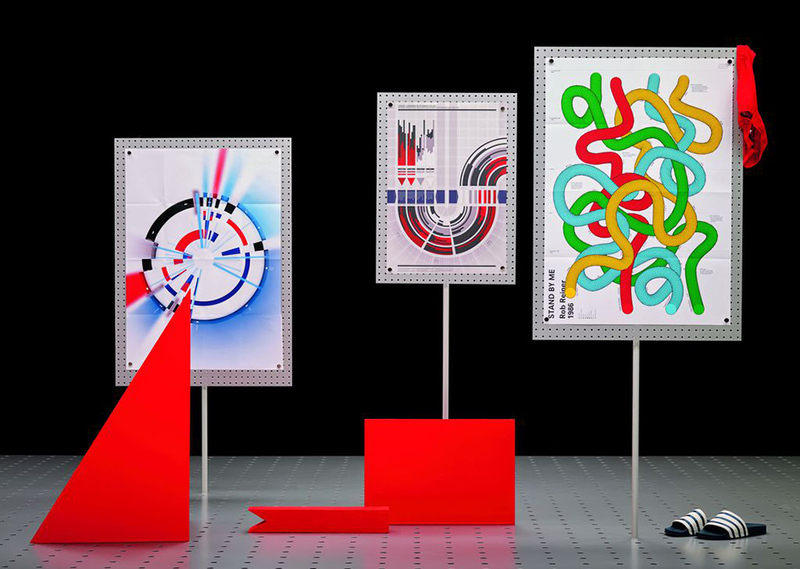 The exhibition and accompanying book “ECAL Graphic Design” looks at projects developed in the Graphic Design Bachelor’s and the Art Direction Master’s programmes at ECAL over the course of five years. The book also provides a photographic documentary journey through the exhibition and presents essays about the work of ECAL by lead course tutors Angelo Benedetto, Francois Rappo and Alexis Georgacopoulos. As well as showing at Vitra Design Museum, this mouthwatering exhibition is currently touring China, following a stint in Paris and at the school in Renens. 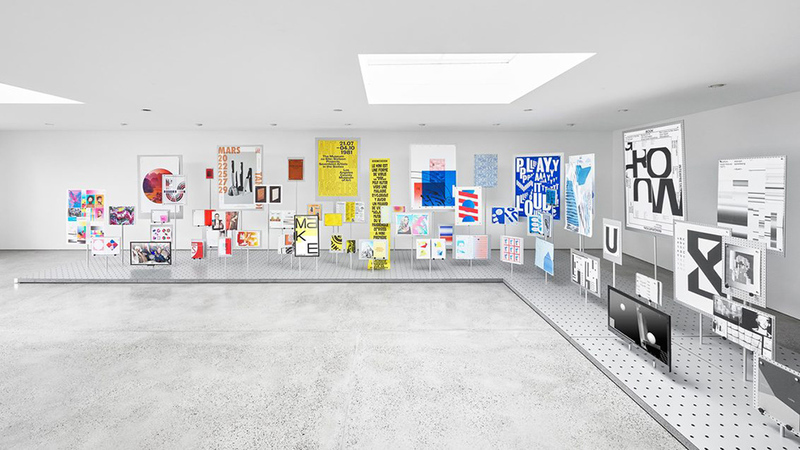 Covering work in many formats and media from printed posters, magazines and books, to screen-based and digitally generated work, the installation has been arranged chromatically, allowing for an interpretation of graphic design that may be more natural than if it had been approached thematically or chronological. 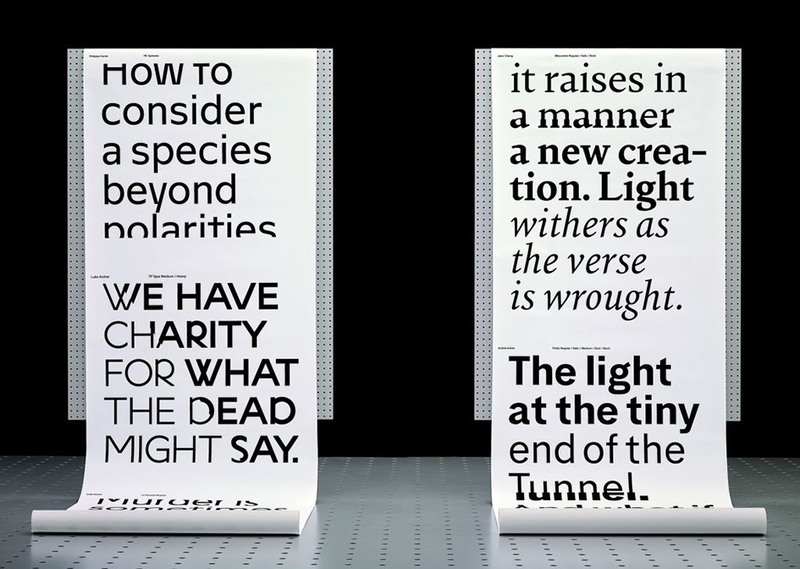 It’s an impressive array of innovation in graphic design and typography.